The Canadian House of Commons debated a motion Thursday to stop the Canada-China Foreign Investment Promotion and Protection Act (FIPPA, or FIPA). The NDP, whose MP Don Davies tabled the motion, opposes FIPA in its current form. They, and many others, say it is harmful to the environment and indigenous groups, and is anti-democratic. Davies’ motion is meant to inform the Chinese government that Canada will not ratify the agreement. The House will vote on the motion Monday. FIPA would allow Chinese companies to sue the BC government for implementing policies that reduce the profits of foreign investors. It is designed to promote foreign investment on Canadian soil, and protect its interests. 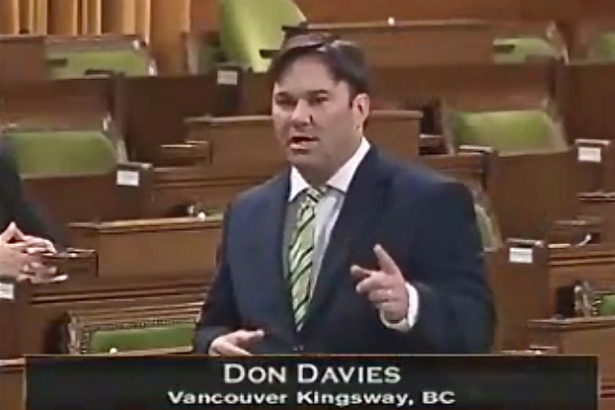 According to Davies, who represents Vancouver-Kingsway, FIPA hands over Canada's natural environment to corporate interests, and "puts legislative efforts to protect our land, air and water at risk of being struck down by corporate lawsuits.” The agreement would do “serious damage to Canada” if allowed to proceed in its present form, he told Parliament. Davies also criticized the way in which the agreement has been put forward. Like other critics, he accuses Harper’s Conservative government of pushing it through behind closed doors. 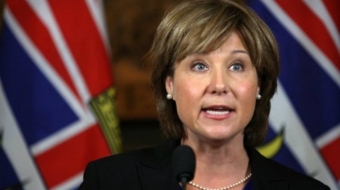 Many First Nations leaders have also been vocal in their opposition to FIPA. NDP MP Romeo Saganash said he finds the agreement to be a direct threat to aboriginal rights. On Vancouver Island, the Hupacasath First Nation have been campaigning against FIPA and pursuing legal action against the federal government. The Liberals have said they want to work with the current FIPA, and review it with public hearings across the country, rather than kill the agreement altogether. Much of the debate around FIPA has focused on its impact on oil and gas development, particularly the much-debated Enbridge Northern Gateway pipeline. If the BC government puts in regulations designed to protect the environment or address the concerns of indigenous groups, Chinese companies could sue them for hurting their financial bottom line. MPs from BC were very vocal in the debate because of its local implications. Green Party leader Elizabeth May asked the house why environmental policies are less protected in the Canada-China FIPA than in another FIPA with Benin, signed in January. She said that this bill was a “direct assault on Canadian sovereignty." NDP representatives from BC such as Nathan Cullen, Peter Julian and Jean Crowder also spoke out in support of Davies’ motion to defeat FIPA. The Conservative government intended to ratify FIPA in the fall, but it was stalled, largely due to ferocious public opposition. Advocacy group Leadnow.ca has been campaigning to get Canadians to write to their MPs to oppose the agreement. Treaty law expert Gus Van Harten has called FIPA unconstitutional, and stressed that the agreement would restrict Canadian governments and electorates for 31 years if ratified. 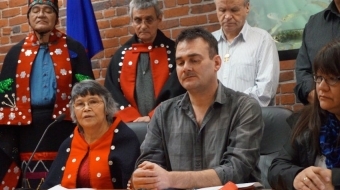 Two Gitxsan house groups, Gwininitxw and Luutkudziiwus urge voting that will empower First Nations, support communities, environment, and economic well-being. Jacobs and Florida and Gehl oh my! Who really influences our local politicians? Still undecided about who to vote for? Second guessing yourself? 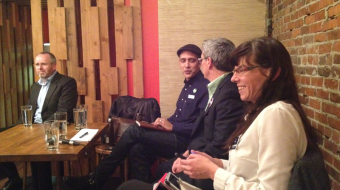 Who really influences and inspires those candidates who are running for a seat in Vancouver's City Hall?